2017 Renault Captur launching on 6th November in the Indian auto-market. Bookings have already started at a token amount of Rs. 25,000. The car is expected to come in the range of Rs. 12 – 15 lakhs. Finally, the 2017 Renault Captur launching information is out. 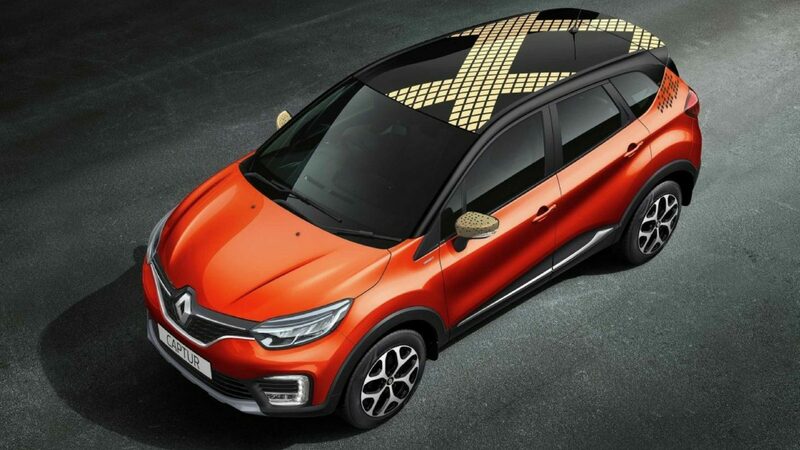 Renault is geared up to launch its all alluring Captur SUV in the Indian auto-market on coming 6th November. The bookings of the 2017 Renault Captur have already started 22nd September onwards. The company is charging Rs. 25,000 as a token amount, however, the delivery time of the car is not confirmed by the auto-major. Falling under the premium crossover category, the 2017 Renault Captur will lock horns with Hyundai Creta SUV and Mahindra XUV500. Anticipations are that the company will introduce the car in the price bracket of Rs. 12 lakh to Rs. 15 lakh. The 2017 Captur will be based on Renault Duster’s B0 platform and will be the flagship model in Renault’s portfolio. The company has already revealed the teaser campaign of the 2017 Captur SUV and the car is very likely to get LED headlights with Daytime Running Lights (DRLs).. Inside, the Renault Captur is anticipated either to get a dual tone fit & finish or the all black interiors. The car will also feature a 7.0 inch touchscreen infotainment system that will also have Bluetooth Connectivity and Navigation features. Compared to Renault Duster, the 2017 Captur SUV will be 18 mm longer and will have the seating capacity for 5 occupants. The rear seats will 60:40 foldable, which will increase the boot size from 387 litres to 1,200 litres. Renault Captur will also have excellent ground clearance of 204 mm. The Renault Captur 2017 is speculated to come in both diesel and petrol engines. The diesel variants will be powered by 1.5 litre dCI diesel mill borrowed from Renault Duster. This mill is said to produce peak power of 110 PS along with peak torque of 240 Nm. Moreover, the engine will be linked to a six speed manual transmission gearbox. The petrol variants on the other hand will get a new 1.5 Litre petrol powertrain that will churn 106 PS peak power and 142 Nm peak torque. This engine will be mated to a 5-speed manual transmission. ← Ford EcoSport Facelift 2017 Launching On November 9, Variant-wise Features Leaked!